The annual symposium organised by the Kansas City Federal Reserve takes place from today, Thursday 27th August to Saturday of this week. The event, which provides a forum and informal meeting occasion for central bankers, finance academics and commentators from all over the world, has been used in the past as the launch pad for some of the more recent significant events that have taken place in global Forex. For example, in 2012, the then chairman of the US Federal Reserve, Ben Bernanke, used it as the occasion to effectively launce a new round of Quantitative Easing in the US. Last year, 2014, Mario Draghi used his Jackson Hole speech to call for greater fiscal union within the EU. He also emulated Bernanke in 2012 by giving the broadest hints made up to that time that the EU would also consider QE. This has since come to pass. 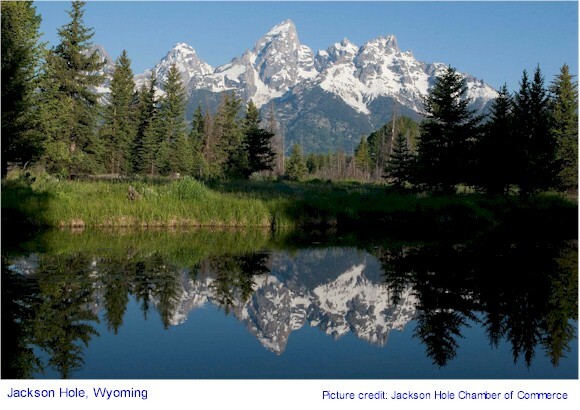 The Kansas City Fed is very proud of the fact that it only facilitates the Jackson Hole symposium – it does not host it. All participants must pay a fee to attend and must cover their own costs of transportation and accommodation. This applies even to those journalists that wish to put in an appearance. It has proven difficult to obtain a list of this year’s attendees in order to try to anticipate what, if any, signals might be given that would impact Foreign Exchange. The only announcement that has been made is that Janet Yellen, Chair of the US Fed, will not be in attendance on this occasion. Her place will be filled by Stanley Fischer, who is Vice-Chair.